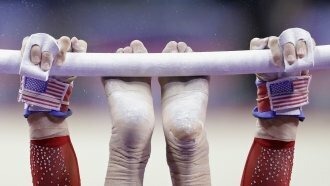 After former team doctor Larry Nassar was convicted, the entire USA Gymnastics board resigned at the request of the U.S. Olympic Committee. The entire USA Gymnastics executive board will resign. Earlier, the U.S. Olympic Committee demanded the board quit or lose its status as the sport's governing body. The board has 21 voting members. As Newsy previously reported, four members had submitted their resignations as of Thursday. On Wednesday, a judge sentenced the team's former doctor Larry Nassar to 40 to 175 years in prison on multiple criminal sexual abuse charges. The U.S. Olympic Committee also requires a new permanent board to be created within a year. That board must cooperate with USOC oversight and have all staff members undergo SafeSport and ethics training.